An organic foaming water for children without soap that respectfully cleanses the face. 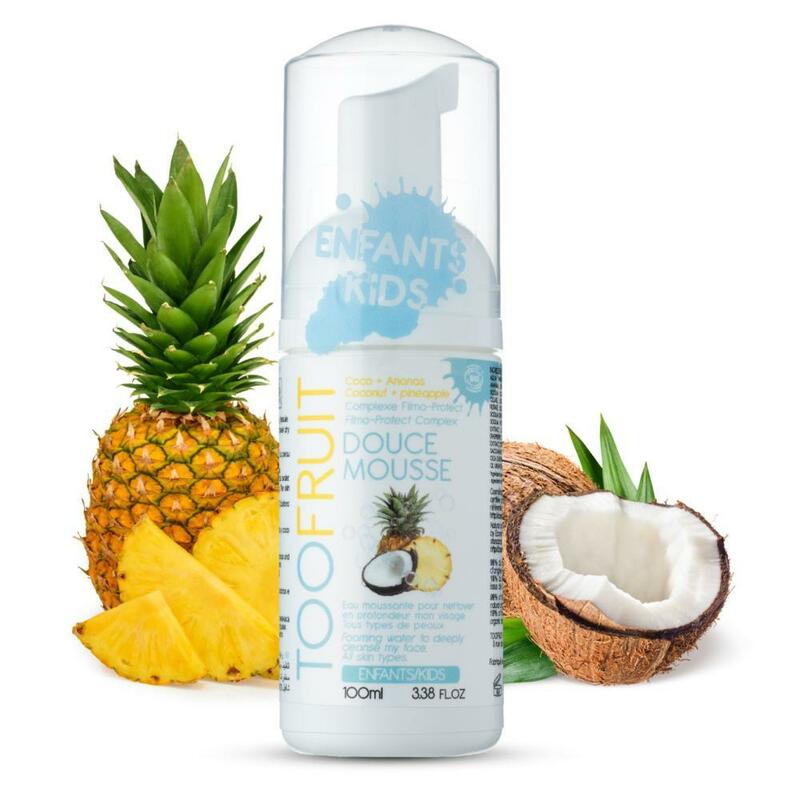 Cleansing becomes a moment of sweetness with purifying pineapple mixed with cleansing coconut extracts. 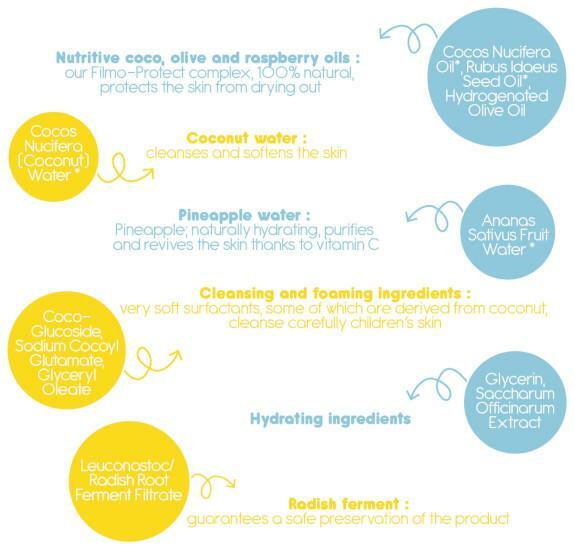 Mild surfactants, for some extracted from coconut, gently cleanse children’s skin. 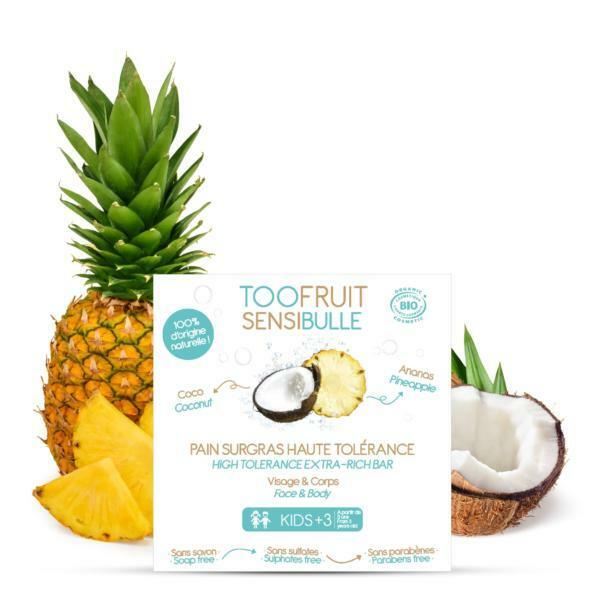 Pineapple, a natural moisturizer, purifies and invigorates skin thanks to its vitamin C intake. The Filmo-Protect Complex builds an anti-dryness shield. While taking my shower, I press the pump. I gather the foam in my hands. I spread it over my face and make it foam. I rinse it off. I dry my face with a clean towel. The impurities settled on my face throughout the day are wiped off. 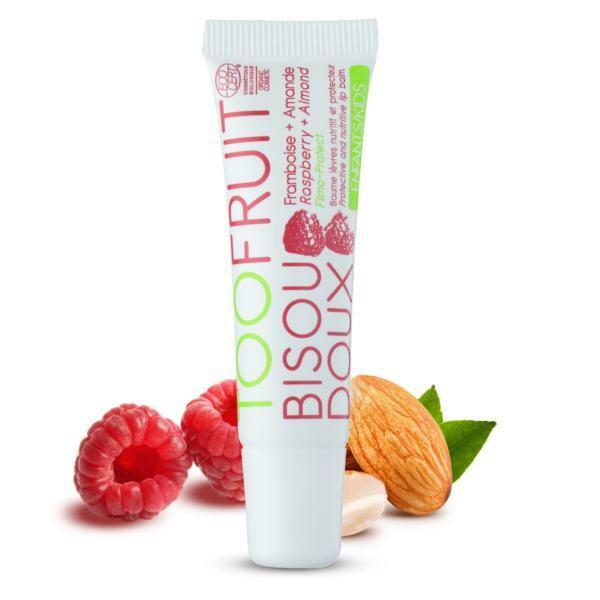 The skin is smooth with no tightness sensation. The skin is fresh and clean. For the youngest, use it in the shower to avoid putting water everywhere.